Homemade Teacakes – none of this shout ‘whip’ if you find a piece of fruit, lovely toasted slathering with butter is of course essential! The dough can be made by hand (muscles at the ready), on the dough setting in a breadmaker or with a stand mixer – my method of choice, I’m a weakling or a lazy lump take your pick! Add the flour, sugar, salt and dry yeast to the bowl of the mixer. Measure out the milk and warm gently either in the microwave or in a pan. It should be lukewarm – the warmth gets the yeast going straight away. Now before you add it to the mixture check the measurement. A key part of making sure a dough is not too tough or too sticky is measuring the liquid content correctly. When I do this double check I often find the milk has either magically evaporated slightly or has multiplied in volume, nothing at all to do with measuring incorrectly you understand?! So, add the right amount of milk, 330ml, to the dry mixture. If you’re being good and doing it by hand bring the dough together and knead for ten whole minutes, set the timer or you’ll cheat. Don’t add any extra flour to your worksurface, it will make the dough tougher. It might be a little sticky to begin with but will soon come together and be manageable for you. After kneading the dough should be nice and smooth. Lightly oil a bowl with a little veg/sunflower oil. 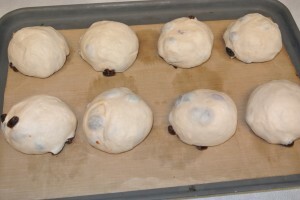 Add the ball of dough and turn to coat it. Don’t use a bowl that’s too big and roomy a 2litre pudding bowl is just right – then the dough is nice and snug and will fill the bowl once it has doubled in size. Cover it with clingfilm and put it somewhere warm, for me it has to be the airing cupboard but maybe your husband isn’t as mean with the heating! After an hour to an hour and half the dough will have doubled in size. Tip it out onto your worksurface and knock it back, punching the air out of it gently with your fists. 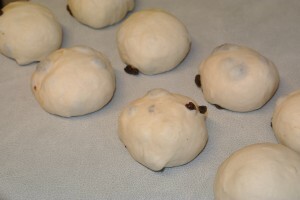 Spread the dough out into a rough flat shape and add the sultanas. 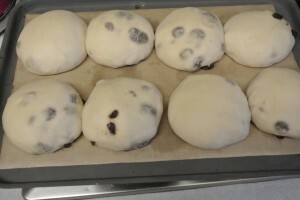 Gather the dough up around the fruit sealing it inside, now you need to the knead the dough to incorporate the sultanas and distribute them evenly. They’ll try and jump out, just keep posting them back in and eventually you’ll will the fight. 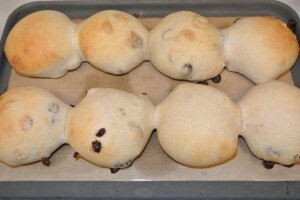 Split the dough into 8 equal sized pieces, if you’re measuring they should weigh about 125g each, but doing it by eye will add to their homemade charm. 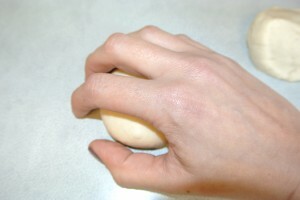 Form each piece into a round ball, place your hand over the ball like a cage with your fingertips touching the surface, move your hand in a circular motion keeping the tips of your fingers touching the worktop. That should turn them into neat rolls for you. Prepare a baking tray by greasing well, lining with baking paper or bake-o-glide. Line up the teacakes in two rows. 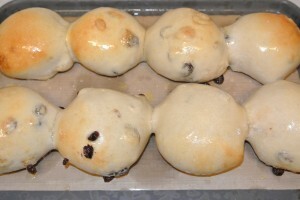 Cover them with a clean tea towel and leave them to rise again for half an hour or so until puffy and doubled in size. 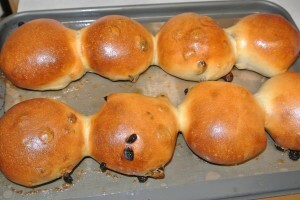 Once the teacakes are risen nicely bake them in the oven for 10 minutes. 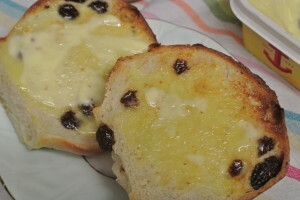 Melt the butter and after the ten minutes take the teacakes from the oven and brush liberally all over with the butter. Return to the oven for a further ten minutes to finish baking. Remove from the oven and allow to cool for a couple of minutes on the tray before transferring to a wire rack to cool completely. Homemade teacakes are best eaten within a day or two of baking, they can be frozen as soon as they have cooled if you don’t have a hoard of hungry gannets waiting for them to be toasted and served! This entry was posted in Bread, Cake, Children, Egg-free, Rolls, Treats. Bookmark the permalink. 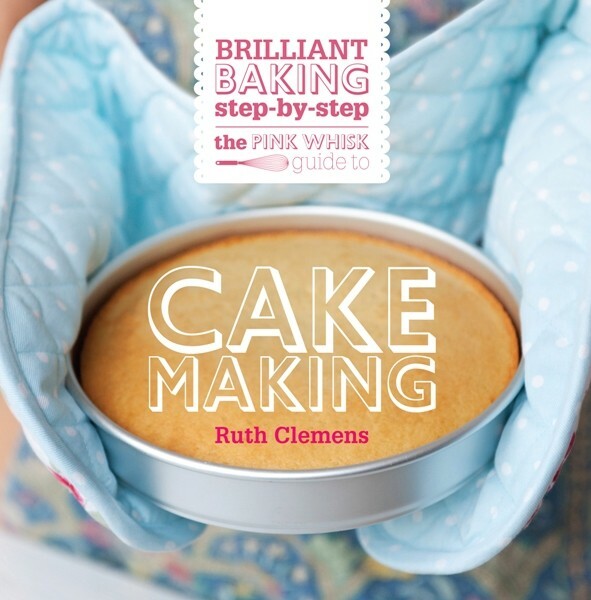 Amazing – do you think I could make the dough in the breadmaker? My favourite elevenses snack has to be my brother’s home-made millionaires shortbread. Crumbly biscuit base with a generous layer of creamy, gooey caramel filling, topped with a thick spreading of good chocolate which cracks as you bite into it. Difficult to eat daintily, it definitely tops my list of mid-morning mmmmmmmmmmm moments. 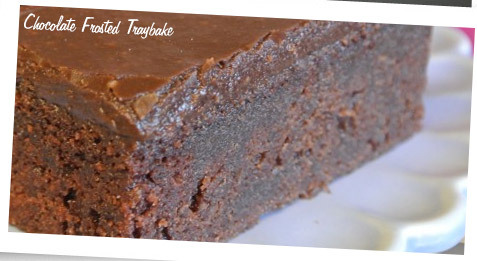 having made your chocolate muffins and as has been said bought the t shirt, i`m now downloading your teacake recipe.anchor butter has always been my favourite butter, as even in the far recesses of my youth we had anchor butter from new zealand, glorious. 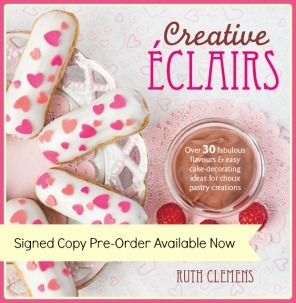 another lovely recipe ruth ! 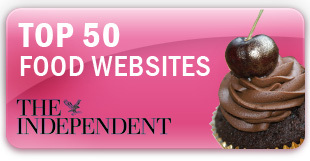 omg, these look absolutely amazing. I love working with yeast, in fact I think I’ll make something tonight, I can almost smell your teacakes. Delicious! Kind of wishing I hadn’t seen this post……can I have tea cakes everyday? Just out of the oven and they look and smell yum! Taste test to follow with oodles of butter! Thanks! Great recipe thanks Ruth, they’re delicious! I’ve just made these this morning and about to tuck into one…I can’t wait! mmmm better than the chocolate variety!! Thanks for your recipe. I made these yesterday and they taste ok but they’re very dense and heavy. I did notice that after the first proving, when your recipe said to knock the air out, mine had no air in it to knock out. Do you know why this might be please? Is it too much mixing? I used a stand mixer and dough hook. Thanks (they still taste nice). It was in a warm place but I think I used a bowl that was too small as the dough was straining at the cling film – maybe that was the problem. Thanks for your reply.